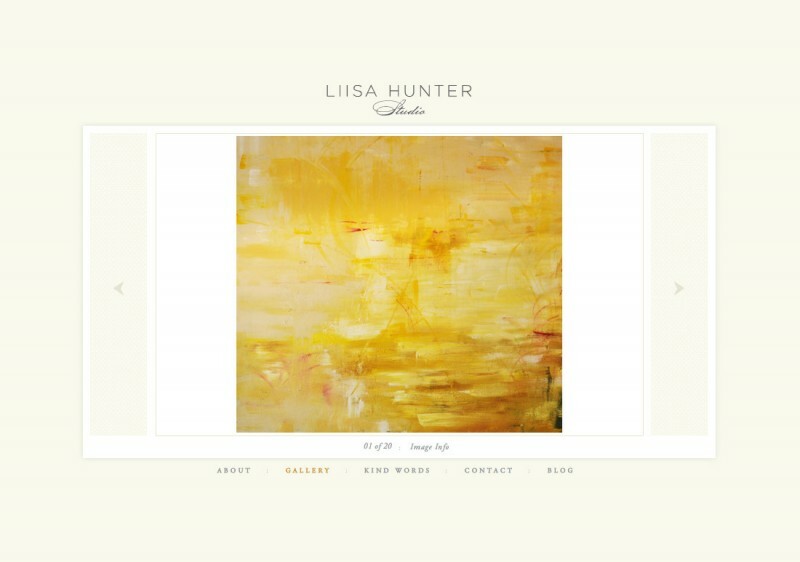 With such magnificent artwork from this bi-coastal artist, the website is definitely the understudy here. 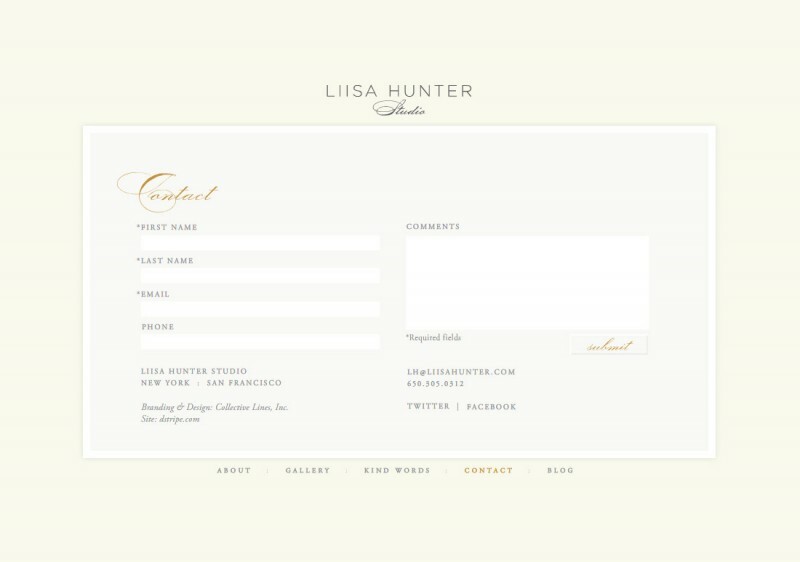 Simple is not easy though, Melanie Halim of Collective Lines designed this luxurious but understated site which I brought to life. 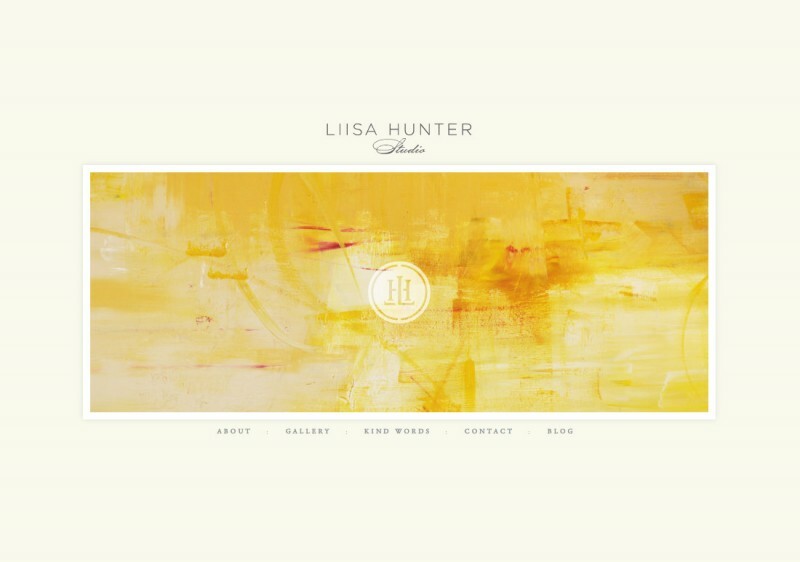 About and kind words combine ample negative space with subtle color, making reading about Liisa pleasant and clear. 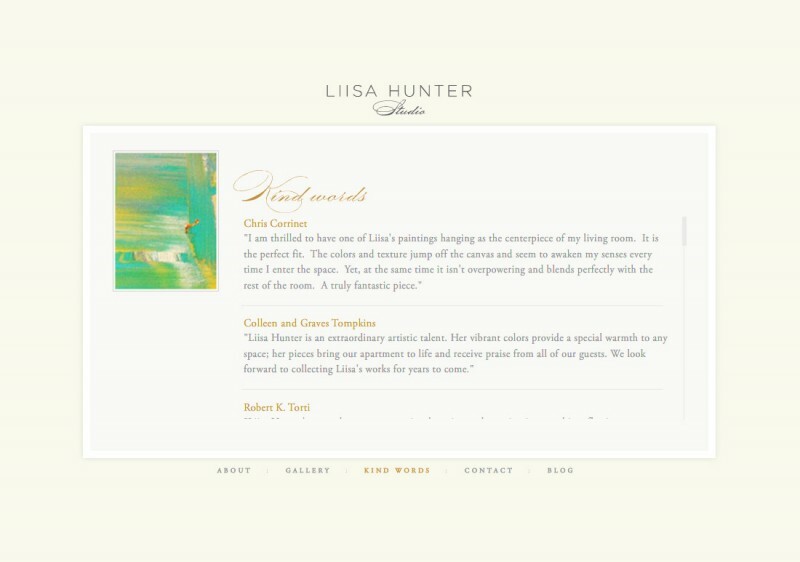 A gallery with info about each painting tucked away exhibits Liisa’s stunning body of work.